Read these verses slowly - maybe even a couple of times. What is revealed about Jesus through these events? Why do you think Pilate was “amazed” by Jesus? Can you get a sense of why the release of Barabbas was unusual and significant? 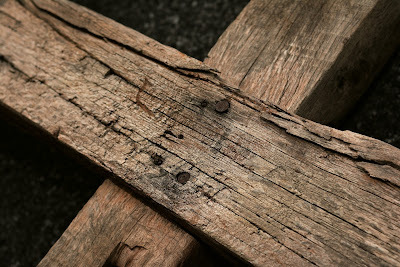 The only words that Jesus says on the cross in Mark’s gospel echo Psalm 22: “My God, my God, why have you forsaken me?”. What is the effect of these words as you read them today? This blog by Pastor Linda Pepe provides insightful devotional thoughts on Jesus’ use of Psalm 22 in this text. As Jesus dies, the Roman centurion who was present declares, “Truly this man was God’s son”. What do you think prompted a Gentile soldier to make this proclamation? What is the irony here? The women stayed near the whole time. Have you ever sat with someone who was dying? What were you feeling as you did so? It is hard to imagine much less understand this horrid death. What remains a mystery for you in the death of Jesus?